The Ministry of Defence (MoD) unveiled a new uniform design for the British Army that includes a pair of smart glasses and a smartwatch, which the department hopes to deploy to soldiers sometime in the 2020s. Dubbed the "Future Soldier Vision uniform", the outfit will feature a pair of specially designed smart glasses with a head-up display combined with a helmet-mounted camera and bone-conducting headphones. The devices are designed to help soldiers increase their awareness without compromising their hearing when on missions. Additionally, a smartwatch that provides communication support and monitors soldiers' biometrics data from sensors throughout body armour will keep track of life signs during combat. The hope is that this new smart uniform will help troops on the battlefield better communicate with each other and military personnel. 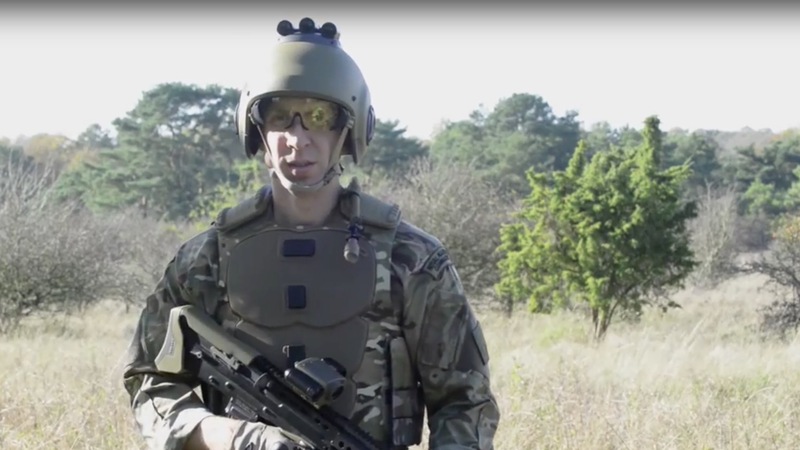 It will feature a personal computer embedded in a helmet that has a subsystem for hearing protection and customisable segmented body armour with sensors and a power supply. The MoD will also update its standard Heckler & Koch SA80 assault rifle with technology that allows targeting information to be shared with units. Defence secretary Michael Fallon notes that the smart uniform is just part of the MoD's goal to get ahead of any future threats to the British Army. "The Future Soldier Vision demonstrates our commitment to ensuring our soldiers have the kit they need to keep our country safe," he said. Wearables in the military has been a source of contention in different countries. While DARPA is working on an exosuit, China's People's Liberation Army warns that wearables could be a major security risk for soldiers. That hasn't stopped the CDP from working on a nose clip to measure trauma patients in battle zones.